Granulated sugar melted and browned then mixed with butter, vanilla extract, heavy cream, and salt. 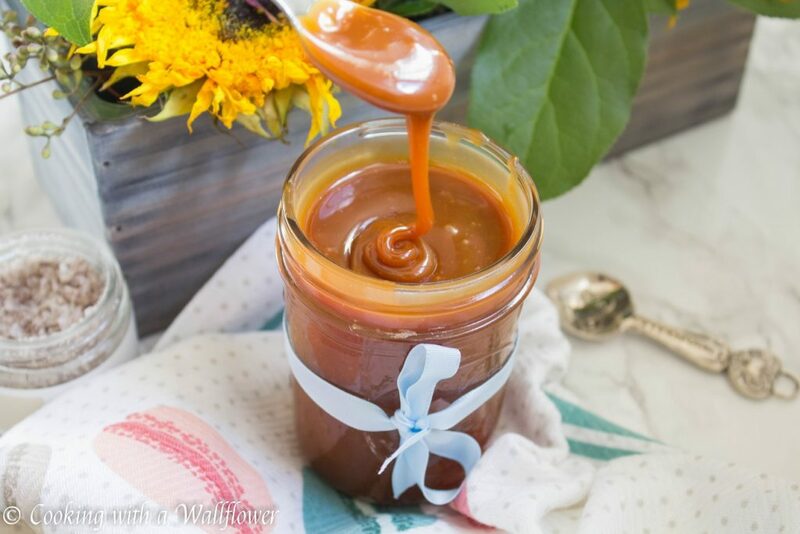 This 10 minute small batch salted caramel is easy to make and a great gift for the holidays. I’m in holiday mode! It always happens as soon as Thanksgiving arrives. If I could, I would take the entire month after Thanksgiving off just to bake cookies, watch Christmas movies, and sip on hot chocolate. If only, right? lol. But December is definitely the perfect month to indulge in all your favorite desserts. It comes just once a year and it’s the peak of the holiday season, so I figured that means it’s okay to eat all the cookies and comfort foods I want. Then when January comes around, I’ll have to stop and get back on track again. 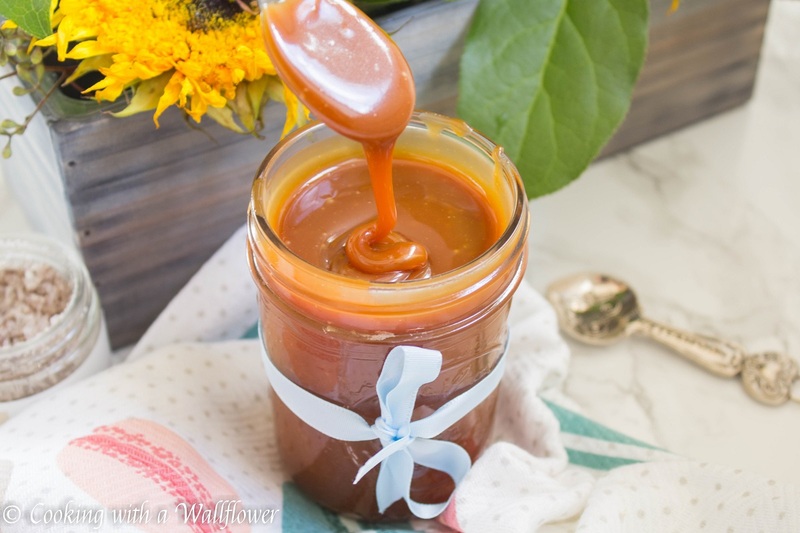 I’ve been so obsessed with this salted caramel. 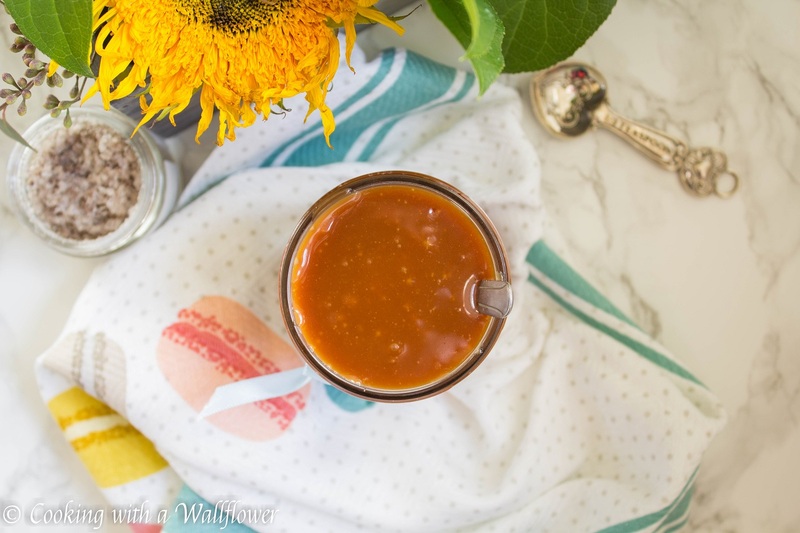 It takes just 10 minutes to make with just a few simple ingredients. And of course, once I have this small batch of salted caramel, I want to drizzle it over everything! Over slices of green apples, over cookies, over coffees and hot chocolates. Maybe eat it by the spoonful….. But seriously, it’s soo addictive. 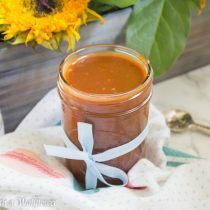 And a small mason jar of salted caramel would make a great gift for friends, families, coworkers, acquaintances. Basically everyone on your Christmas list! So make multiple batches. 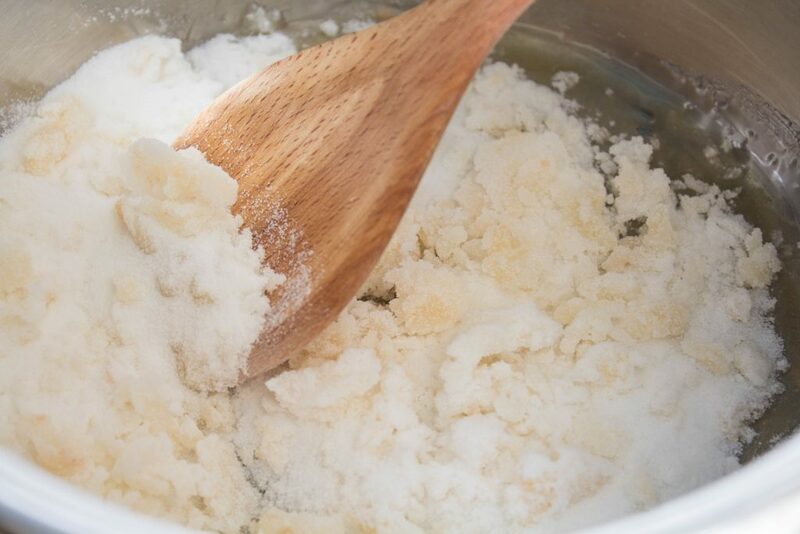 You do want to make small batches at a time instead of doubling or tripling to prevent the sugar from burning. 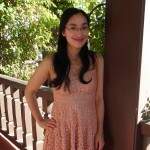 Super easy to make though so it won’t take too much time to do. 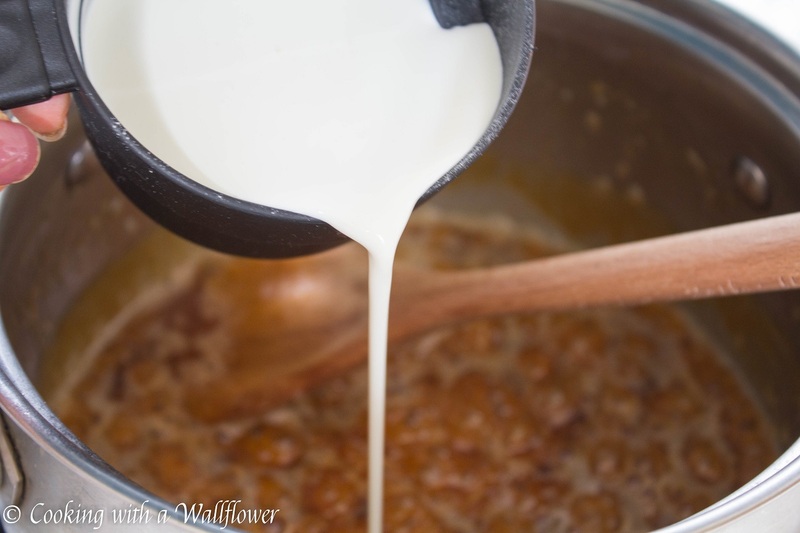 To make the salted caramel, add granulated sugar to a sauce pan over medium heat. Use a heat resistant spatula or a wooden spoon to stir to prevent the sugar from burning. The sugar will slowly start to melt and brown. 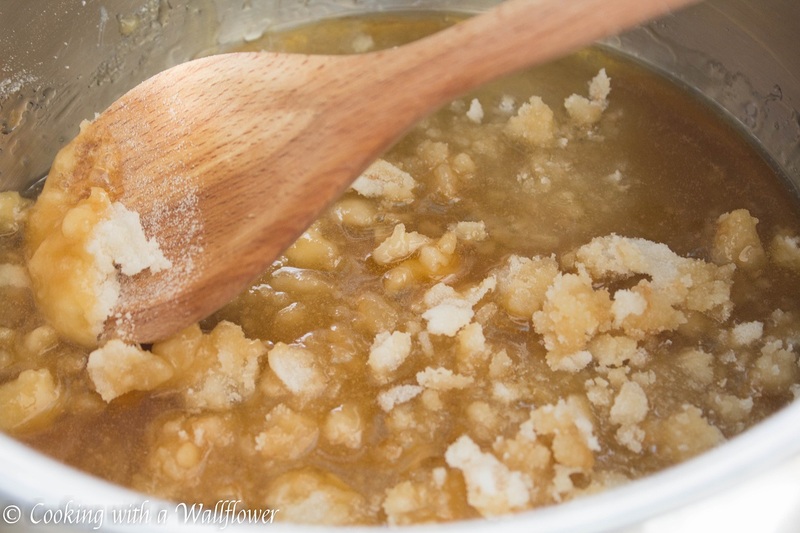 Once the sugar has completely melted, slowly and carefully add butter to the sauce pan. There may be some splashing. 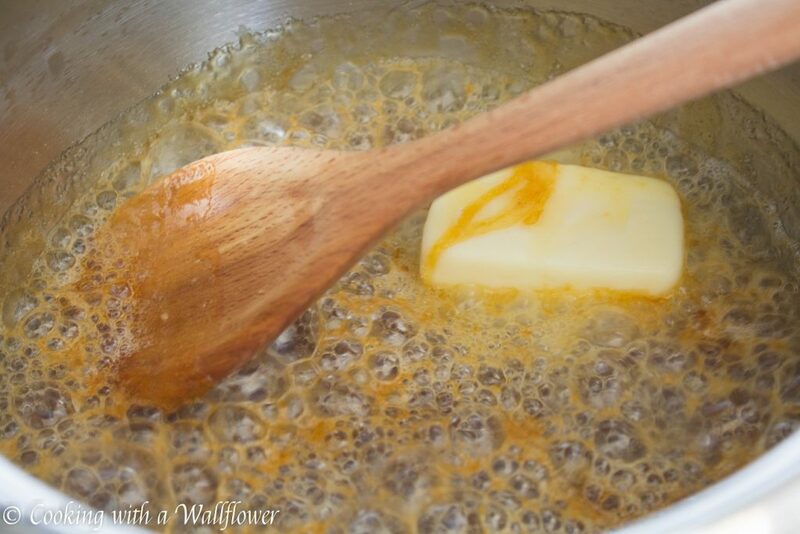 Once the butter has melted, slowly add heavy cream. There may be some splashing due to the difference in temperature. Let the caramel simmer for a minute. Then add vanilla extract and salt. Stir to incorporate all the ingredients. 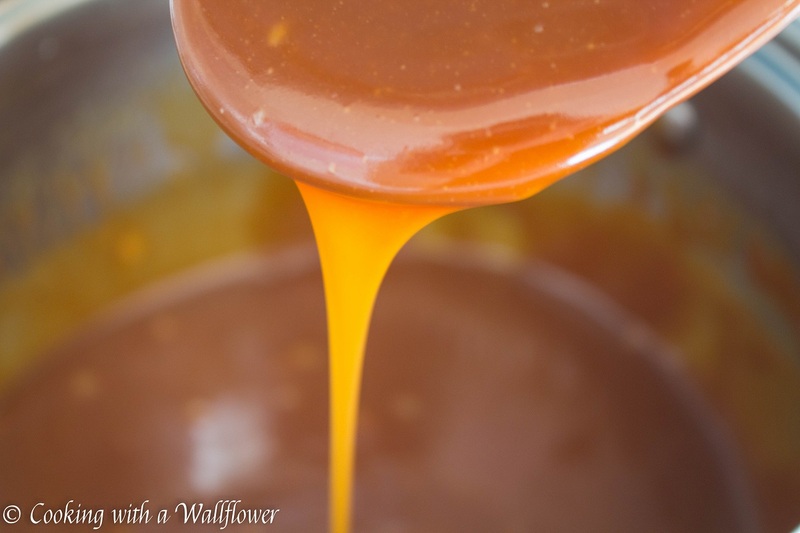 Remove the caramel from heat. 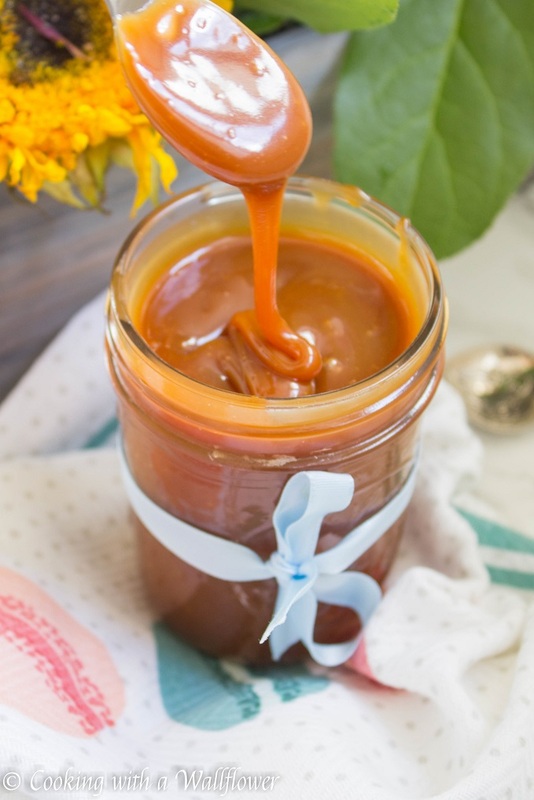 Let the salted caramel cool down before serving. 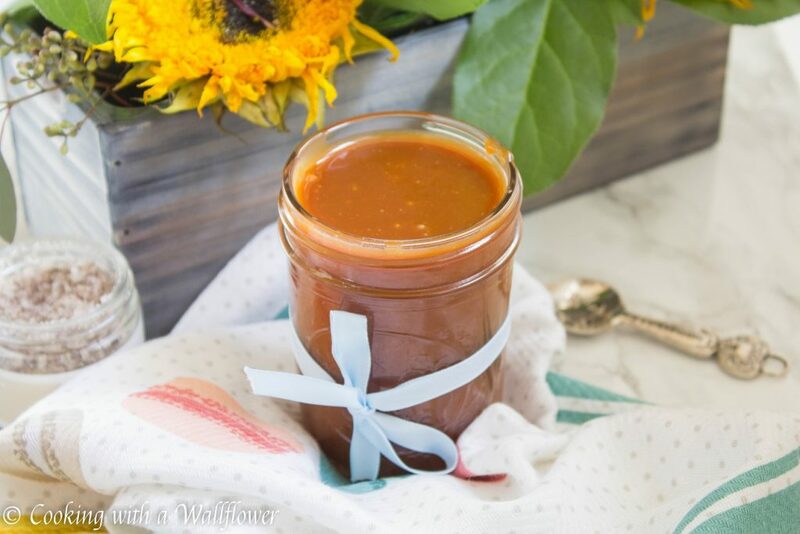 The salted caramel will thicken as it cools. 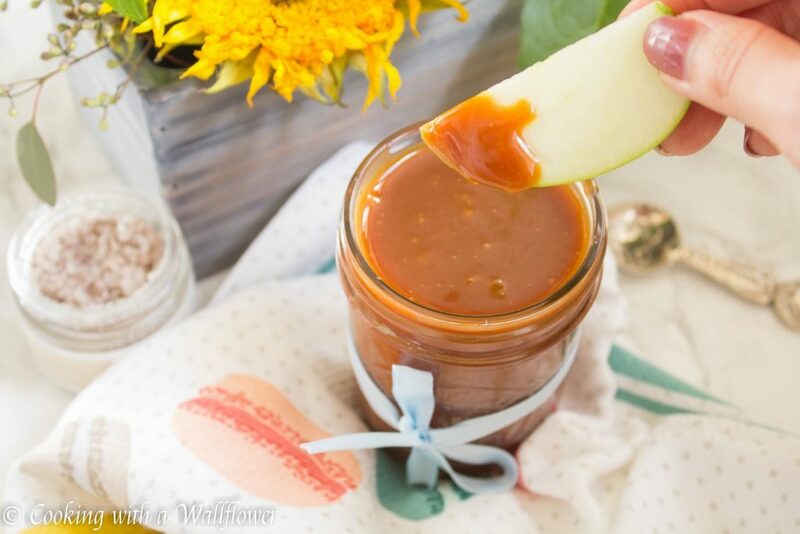 Serve the salted caramel over coffee, dessert, or even fruits. 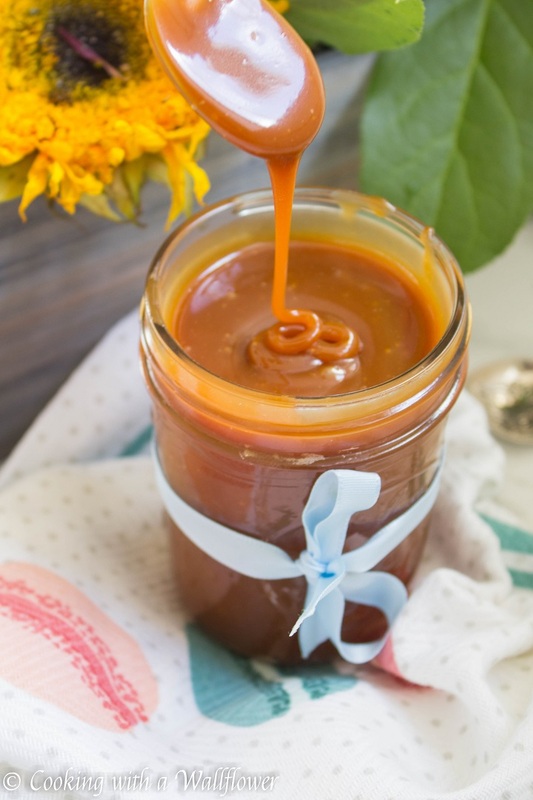 Refrigerate the salted caramel in the fridge for up to two weeks. This entry was posted in Desserts, Dips and Sauces, Quick and Easy, Recipes, Vegetarian and tagged dessert, dips, gluten free, quick and easy, salted caramel, vegetarian. Slated caramel is my latest addiction. This looks easy enough to make. Yum!